The CSS Student Food Shelf has moved to Somers Hall! In need of extra meal swipes or dining dollars to get you through the month? Want to donate your extra meal swipes? Did you know that during each semester over 100 students need to use the CSS Student Food Shelf at least 1 time? 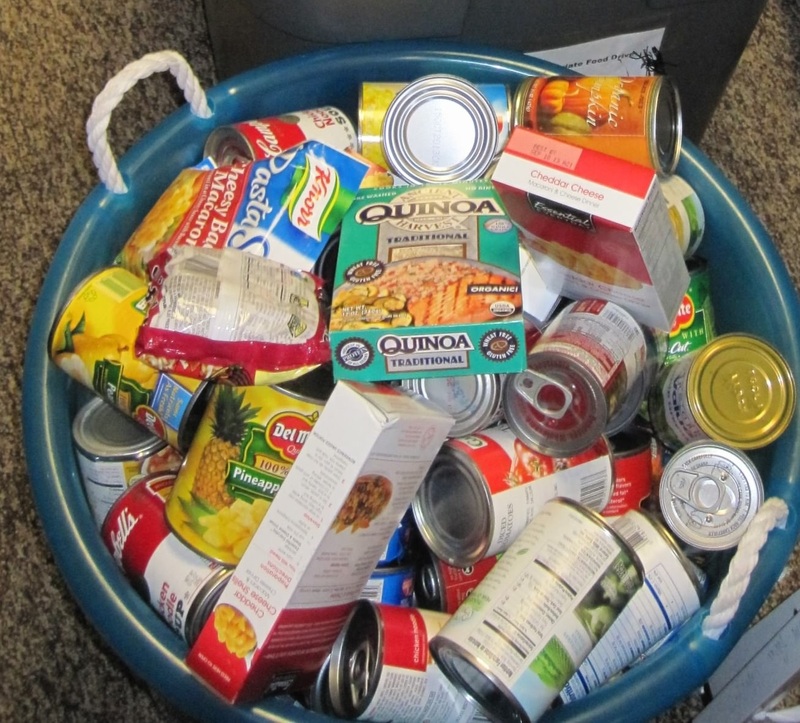 Annually, students who are experiencing food insecurity visit the food shelf for a total of about 300 visits. The purpose of the CSS Student Food Shelf is to provide immediate food relief for students experiencing food insecurity at the main campus in Duluth. Any CSS student who requests access to the food shelf is given access. If you want to get the key from a professional staff and not a student staff, please plan to get the key from Peggy during weekday afternoons from 11:30-4:30 or from Louanne or Elliott whose offices are just down from the Campus Operator desk. Security can also sometimes give students access after office hours or when the College is closed. The CSS Student Food Shelf also provides information about Duluth area resources to students for additional assistance for health care, meals, food, clothing, etc. We encourage you to support the CSS Student Food Shelf as you are able because your donations allow us to keep the food shelf well stocked. We are able to accept monetary donations and non-perishable food items. Anytime you are making food donations, please keep in mind that students are in need of individual serving size or regular sized items. Please refrain from donating extra-large size items, expired items, opened packages, or food that can spoil. Our financial support is from Faculty, Staff and Monastery donations and Student Senate funds. Thank you to all those who make this possible! If you are interested in getting regular updates on food items that are most needed, consider participating in the effort that Becky Brenna coordinates. She hosts a food shelf collection drive every other week throughout the academic year and you can be part of the fun! Simply join the Facebook group: CSS Food Shelf/Student in Need Fun Drive to get involved. 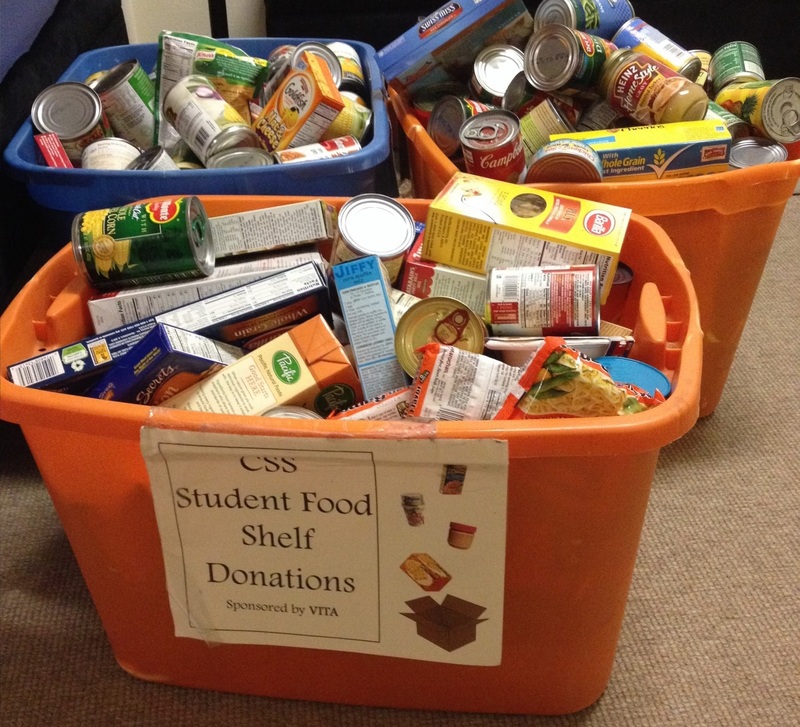 Thank you for your support of the CSS Student Food Shelf! If you have any questions please contact Jessica Ellingson at jellingson@css.edu or call 723-5933.